Pyramids of the Anunnaki Giants? 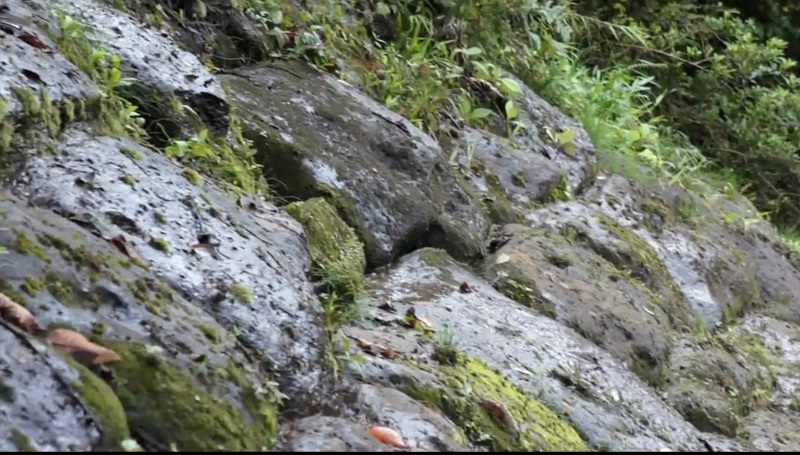 The revelations continue as we further explore the information coming out of the Ecuador jungles. What you see here is soil being cleared from the side of a large hill to reveal cut and dressed stone blocks. These appear quite smooth surfaced, barely aged thanks to the protective layer of earth. Between the blocks there appears to be a hard bonding substance like cement, or actually more like concrete. Just how long ago this structure was built and how many centuries passed before it was abandoned and then eventually swallowed completely by the local environment, this all remains a mystery. Some evidence is emerging from the site that can help us theorise on timing. The different look of the hidden blocks and those exposed are one of the first clues, it takes time to really weather a stone, to have it eaten away by the acidity of the rain for example. In this second image we observe the stark difference between the newly uncovered stonework and that of the already exposed wall. The working hypothesis at present is that either an earthquake or a tropical rainstorm induced land slide caused the soil and plants of one wall to come sliding down. This is most likely the case. What we can see by comparison of the two walls is that the event that caused the wall to become exposed must have happened centuries ago, the stonework is extremely eroded on the visible wall. I am not qualified to give an accurate projection of how many centuries it would take to turn the wall in our first image into that seen in the second image – my guess is several at least. This certainly helps to reinforce the suspicion that this is a truly ancient site, much older than others already known in Ecuador, click the embedded links to see structures built by the native Inca , Canari or Cara peoples for examples. The blocks range in shape and size across the pyramid wall, it appears highly chaotic in style and would pose interesting construction problems for the engineers and builders of the time it was built. We see similar stone-working at ancient sites in Peru, for example the fort at Sacsayhuaman which although attributed to the Inca is actually claimed by local Indians to have been built by a giant bird that came from the sky with the ability to melt rocks. Sounds more like a visitation from a race of extraterrestrials with advanced technology than some kind of insane local building project, especially when we consider the weight of some of the blocks, almost 200 tonnes. 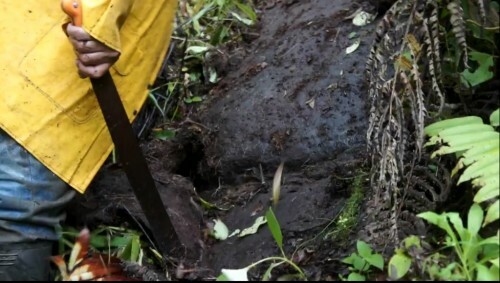 How can we readily credit a supposed primitive technology with easily working with gigantic blocks, that even today would be almost impossible to work with for a building construction? 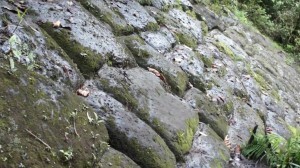 One of the most captivating features of the pyramid wall seen at the jungle site here, has to be the evidence of some kind of strange mortar between stones. It is generally held that the Inca did not use mortar but rather made blocks that would fit perfectly together. Yet in this case we see what certainly appears to be a bonding material remaining between some of the large cut stone blocks. A closer look leaves us scratching our heads as it now seems to perhaps we are looking not at a cement, but some kind of vitrified material, was the stone itself melted by some advanced technology, whether heat inducing or chemical? 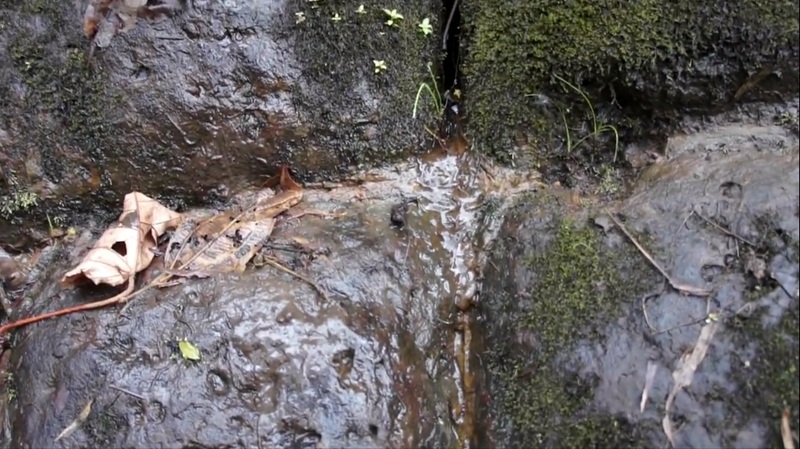 Though many blocks seem free of this substance we can again attribute that to a very long period of rainfall – the substance looks tough and I imagine a great deal of time passed before it was eroded away. Evidence for other examples of vitrified stone has been seen elsewhere at ancient sites in Latin America. Yet none of what we have already discussed is really good evidence for my stating in places that this is a lost pyramid city of giant people. 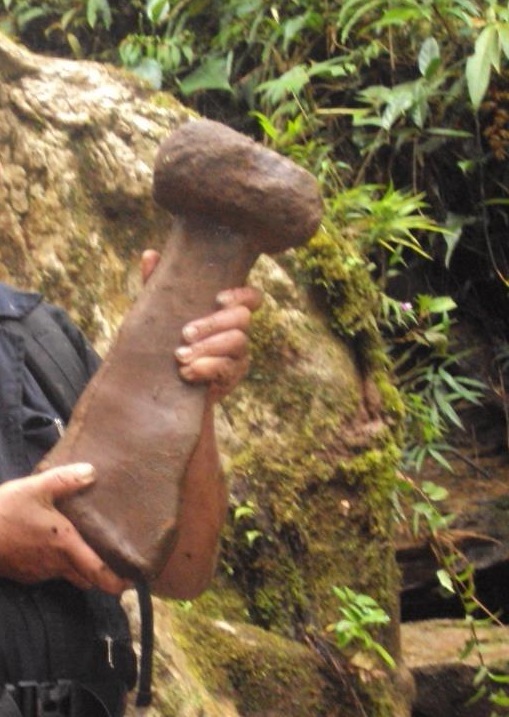 Yes there are legends in the area of giants, and at other sites in Ecuador remains or artefacts have been found that do seem to prove a presence of incredibly large people. What really strongly points towards this habitation having housed the same race of giants is the presence of extremely oversized hammers, or at least the stone hammerheads. Assuming these were attached to hard wood handles they would be of both incredible size and weight, making their use as tools impractical for a typical Inca or indigenous Indian, these being generally slight built people of around five foot or so. Who on Earth would make a hammer like this as a real tool? Remember also that any work would be done in the incredible heat and humidity of the Amazon jungle, how long could anyone swing such a thing before collapsing from heat exhaustion? I have been unable to match this object to anything known in Inca archaeology, and in fact there is simply nothing like it in the Ecuadorian museum of cultural history, located in Quito, that would suggest any of the known civilizations of this region. In the video linked here is some of the most incredible footage of the never before seen large megalith located here in the jungles of Central Ecuador. We call for your support in ensuring the site is mapped properly, preserved adequately and made fully public. This is all about information that the world needs to become aware of, we are just messengers. The wisdom of the ancients, and the evidence of their civilizations, is now in the process of returning to the awareness of people all over this planet. I admire your work. 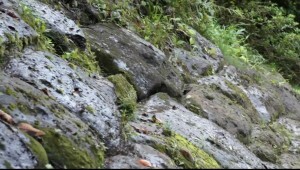 You mention in the video about the vitrified rock, and that is very interesting. The comet debris field is localized, in Bolivia. Ecuador should not have been affected. Is the vitreous rock on all 4 sides? If only on two sides, is it the North and East side? Are the pyramids oriented to the cardinal points? Are all pyramids oriented the same way? I am particularly interested in giant races. What is the height of the average doorway? Do you have the height of a skeleton? Sorry, I have a lot of questions. I am going to write another article to make much of this clear – will be online shortly. 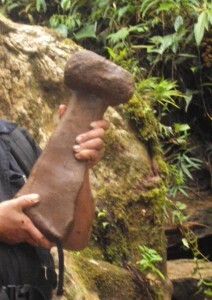 This new discovery in the interior jungle of Ecuador should be addressed with an Email to the President of Ecuador and the corresponding ministers to pay attention to this and open or create roads to be able for the equator archaeologists and geologists to go there in another expedition to do all the work plus some workers financed by some of the Universities of Ecuador and amplify the enormous work that have to be done there, at least for the following years and then create this place as a Second Machu Pichu found in Ecuador. If the government of Ecuador did not respond to this, it would a great lost to Archaeology and History of Ecuador and the World. Good news for you, we are fully in contact with the Ministry of Culture and the Ministry of Patrimony – rest assured that everything is being done correctly by us and the government is very happy with what we have done so far with them. Sadly other people have been going to the site without contact to the government and we do not know what they are doing there – possibly artefact theft. Security for this site is now very urgent! Remember we did not discover this site and have never been there – we are beyond any suspicion of wrong doing in the eyes of the government. I was going to write a long comment, but for now, I will wait until we know the door height, and the estimated height of the race that built it. There are burial sites all over North and South America, where giant races have been discovered. It is these unknown races that I seek, in particular. Looking forward to learning more about the site. I hope the Ecuador government provides security soon, to protect the evidence. Yes we will all have to see how this develops and what evidence remains at the site by the time officials get there! My name is Arthur Faram and I am offering my services in performing a Geographological survey on your Ecuadorian Pyramid. I have already performed studies on the Yonaguni, Japan Pyramid, the Bosnian Pyramid and the Indonesian Pyramids. The findings were spectacular and particularly helpful in dating the culture and defining their territories. 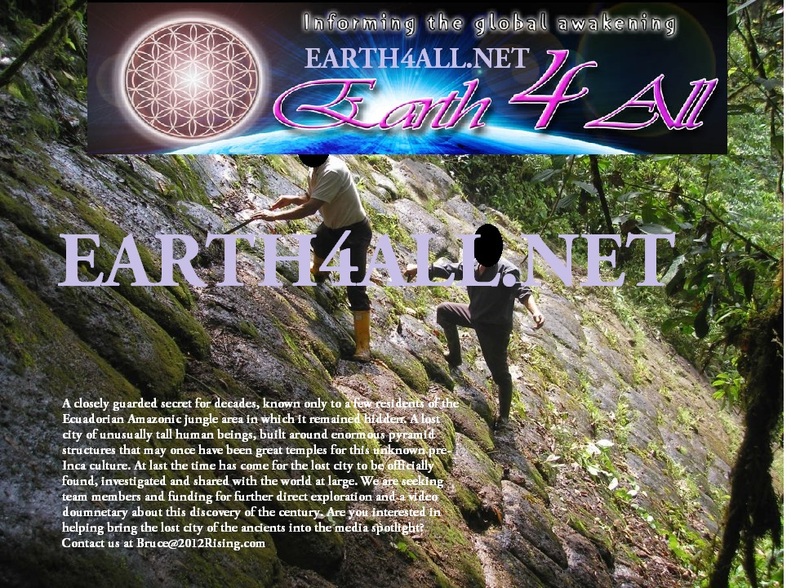 Only the preliminary findings have been published and can be found at http://www.thefaramfoundation.com, on the Worlds International Research Society’s website and on the Bosnian Pyramid website. The final conclusions are much more spectacular. If I may be of assistance please contact me by email. I am a rather simple man, but even so I find that the assumption of an oversized hammer means oversized person. Honestly I know pretty much nothing about this subject and don’t want to demean or offend in any way. But If I as a normal sized human was using a tool like that I doubt that I would be swinging it. Rather I would hold it in the place I wanted the pressure to go while someone else hit the back end of the hammer. I may just be a simple carpenter but if I had to use it that would be my method. I can’t help but wonder why a race advanced so much as to be able to turn stone to liquid would need stone hammers. There is no proof that this race melted stone, really there has been almost zero scientific investigation. At the present there is largely just speculation based on the images and video. If they did melt stone that does not mean they could not have an underclass of servants that did not have access to such technology and needed old fashioned tools. Who knows? We really know almost nothing of this culture. This is not a hammer. It looks more like metal cramps or brackets to hold large stones together. After making a noch, they melt the metal an put inside. You can find this metal objects at Puma Punku (Bolivia) or Persepolis (Iran)! I live in Ecuador and am curious as to why there are no place names given such as province or nearby towns. That would seem a requirement for any true account. I am not yet involved in the research on this pyramid. I am still awaiting their response. Usually they do not give the site location until the research is done to prevent looters. Sadly I did not have GPS equipment due to lack of funds so I do not have an accurate location to supply you for your purposes. If I return with the equipment I will mark the site and we can discuss again. There was a government report that had some grid refs which I think I linked to in the most recent article on my exploration, if not I can dig it up. Dear Bruce, I’m an international TV producer based in Ecuador. I have contacts worldwide from major networks that may be very interested in documenting this discovery. Please let me know your thoughts and comments. My direct mail is frenton_bruce@yahoo.co.uk if you would like to discuss this. Video link within the text block is deleted from you tube, any chance you could re upload? it I’ve seen this subject mentioned few times but no good pics or videos. There are lots of great pictures on this website over the various articles on this subject, also vids on my Youtube channel. The video in question, however, was not one of mine. I will be uploading more of my own video material in the very near future, I suggest subscribing to the newsletter as those people will see all my exclusive content before everybody else. Hello Bruce: Congratulations on your phenomanal historical find! I hope for Ecuador’s sake it will take this very seriously and push for more funds to make it an archiological site like Ingapirca!From other readings, I heard that there maybe a portal to the Inner Earth from this site. It may explain Giants and higher technologies.The Tayos Caves and the Metal Books all have a connection with this site. It would be good to contact the local shamans for more insight to the spiritual connection there! The Ancient Aliens program on H2 would probably be interested in this project! Incredible findings, needs to do more work on this direction in different sites in the world. I’ve been there 2x. Yes its an interesting site. Some of the comments in the article, however some of the assumptions are sending things in the wrong direction. For example – the hot tropics idea – First of all, this site is in the cloud forrest at about 1800 m elev or more than 4000 feet elevation. Its rainy and cool, not so miserably hot that one could not swing a big hammer all day. These are tough people – even today.